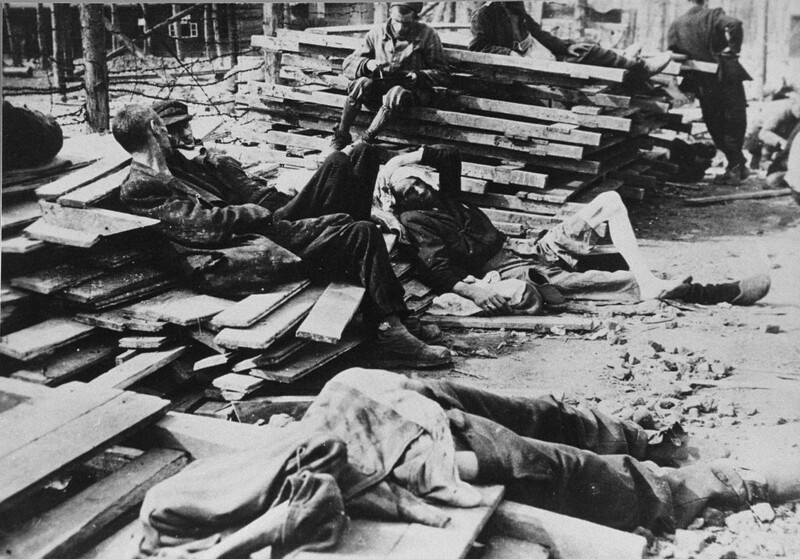 Survivors in Buchenwald just after liberation. Troops of the US 6th Armored Division entered Buchenwald on April 11, and troops of the 80th Infantry arrived on April 12. Buchenwald, Germany, photograph taken ca. April 11, 1945.